Microsoft on Wednesday officially unveiled the next update coming to Windows 10, which the company says is coming next spring as a free update. Knows as the Creators Update, Microsoft said a big part of the update will focus on expanding its vision of mixed reality and 3D. So, with the update, Microsoft is giving people the tools to create content in 3D. 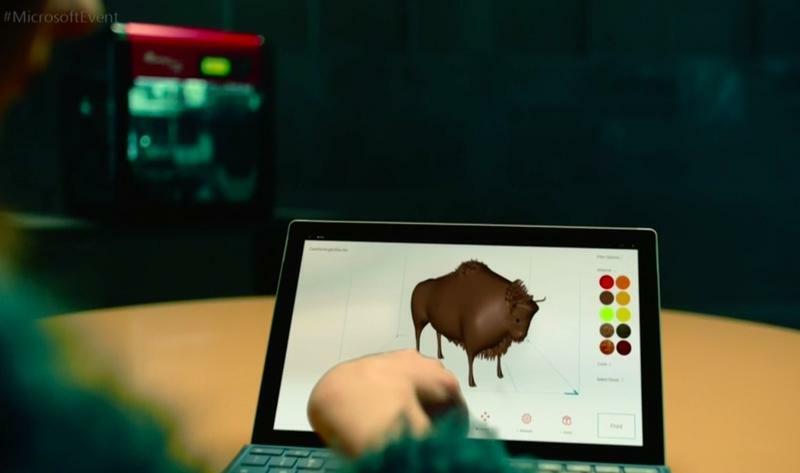 Microsoft’s Paint app will be part of the company’s 3D future, allowing users to create whatever they want in a 3D space. The app has been completely redone from the ground up to enable these functions, allowing users to combine the world of 2D and 3D seamlessly. Clearly, these new 3D features are aimed at education and, well, creators. If you’re into the type of inventive creating that a game like Minecraft affords, you’re going to dig Microsoft’s new Paint app. While on stage, Microsoft’s Megan Saunders, general manager of HoloLens, stressed that the company wanted to make “3D for everyone.” Not only that but to make creating as easy as possible. Saunders demonstrated how simple it is to scan an object with a phone and import it into the Paint app. Of course, you can’t have 3D without Minecraft. With the Creators Update, Saunders said players will be able to export their Minecraft creations and even 3D print them. For Minecraft die-hards, that will be a fun way to extend the game, bringing your creations into the real world. Microsoft will incorporate 3D into its most popular applications, according to Saunders, including its suite of productivity tools. Again, the emphasis here is on work and education. Heather Alekson, Microsoft product manager, demonstrated how 3D will be incorporated into PowerPoint, making what she said will be more immersive presentations. The combination certainly makes for a compelling match; the presentation Alekson showed off was more visually interesting than something that would have been 2D-only. If you have HoloLens, you can also easily take digital creations and view them in the real world. Microsoft showed off how shopping might work in the future by placing furniture in your home, taking a chair from a website and seeing how it clashes with other decor. There are also VR elements in the Windows 10 update. Each user will have their own virtual hub where they can access their favorite apps, watch content, and interact with 3D objects that have been created in Microsoft’s new 3D community. 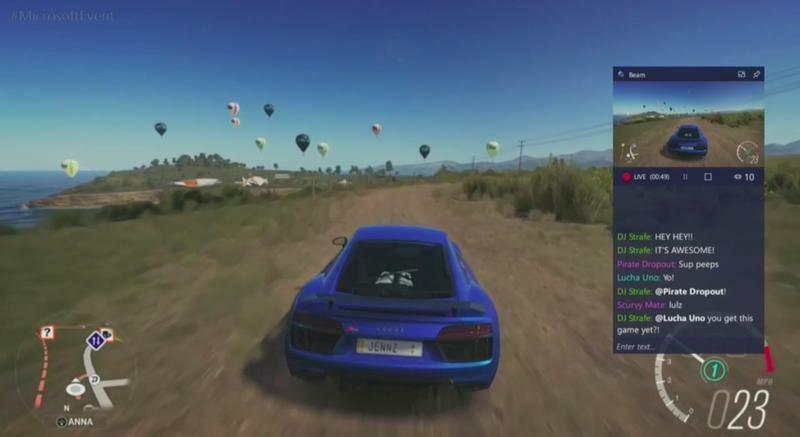 There’s also a “Holo Tour” feature that allows users to travel to some of the world’s most popular tourist destinations. Microsoft said that gaming is a massive part of the upcoming Windows 10 update, e-sports in particular. In the Windows 10 Creators Update, broadcasting will play a big part. And that means taking on Twitch with its own platform called Beam. Beam will be built right into Windows 10, making it simple for every user to become a broadcaster. Xbox Live will ping all your friends to let them know you’re streaming and they can tune in from anywhere, whether they’re on Xbox, a computer, or on a smartphone. They new features are clearly designed to go after pro streamers and e-sports players. Streaming on Twitch has never been the easiest process, especially on a computer. With Microsoft’s Beam, you simply open the application up and hit stream. That’s it. Building on that, Microsoft is introducing a way for users to create custom tournaments. Microsoft’s Jenn McCoy showed how easy the process is; simply fill out a few options, choose the game, and you’ll have your own gaming tournament with friends. Custom tournaments will work across Windows 10 and Xbox One, so it doesn’t matter if you’re using a console or PC. In Windows 10, Microsoft will put your favorite people into the taskbar, making it really easy to connect with people who matter most. It takes a lot of the friction out of trying to share with friends and family. 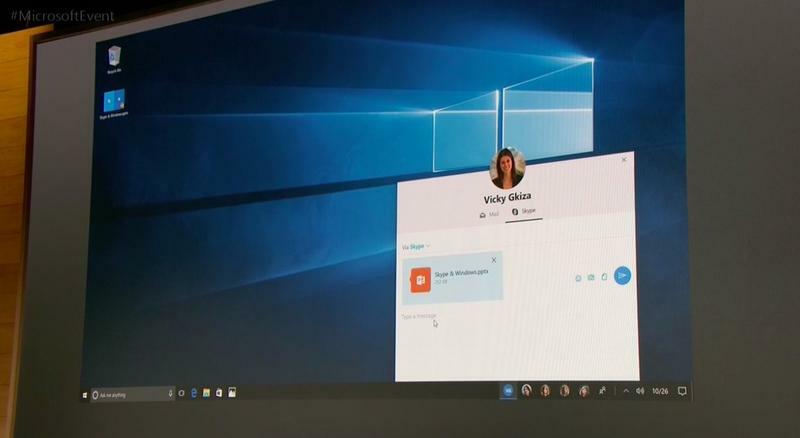 There’s also a new feature called “Shoulder Taps,” which will send emoji to other Windows 10 users. Hopefully, you don’t have any friends who will constantly bombard you with emoji all day. This is one feature that’s best used in moderation. The Windows 10 Creators Update will be available as a free update next spring.